On December 2, 2016, six music fans who use wheelchairs filed a class action complaint against the City and County of Denver claiming disability discrimination for failure to make reasonable accommodations to allow people who use wheelchairs to access and enjoy Red Rocks Amphitheatre. CREEC and co-counsel Colorado Cross-Disability Coalition (CCDC) and Disability Law Colorado (DLC) represent the plaintiffs. The only accessible seats at Red Rocks are in the front row or at the very top and back of the theater (Row 70). 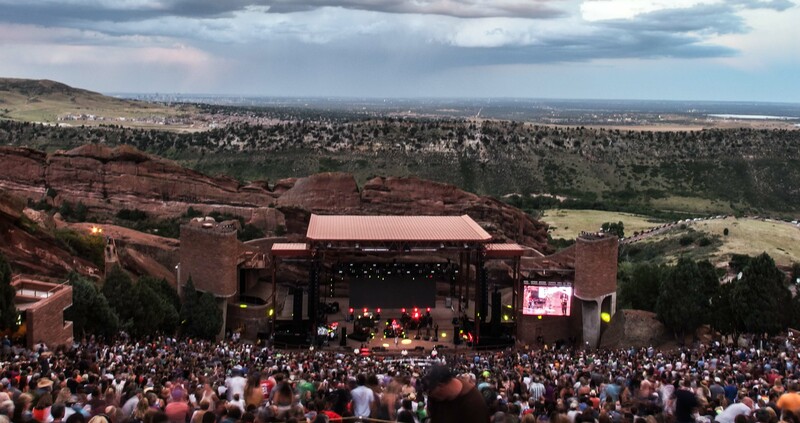 Despite the limited numbers of accessible seats available, Red Rocks and its contractors routinely engaged in practices that further decrease the number of seats available for wheelchair users. For example, Red Rocks did little to ensure that tickets for accessible seats were sold or given to people who actually needed accessible seating. As a result, tickets to accessible seating were regularly unavailable within minutes of going on sale and then were only available on the secondary market. Because many of the accessible seats at Red Rocks are in the front row, they are highly sought-after and were typically resold at a significantly increased cost – up to four or five times the face value. In comparison, those who were not competing for the coveted 78 accessible seats could much more easily buy a ticket to one of the remaining 9,447 seats that are not accessible to wheelchair users. Thus, according to the suit, those who use wheelchairs and wish to attend a concert at Red Rocks were routinely forced to pay a much higher price than other concert-goers who do not use wheelchairs.